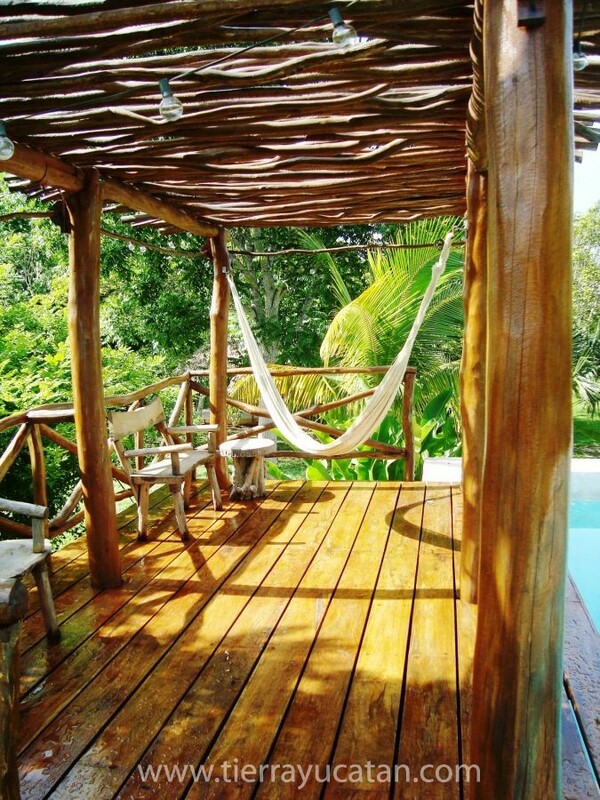 Two palm-thatched “palapas” in an idyllic private compound. 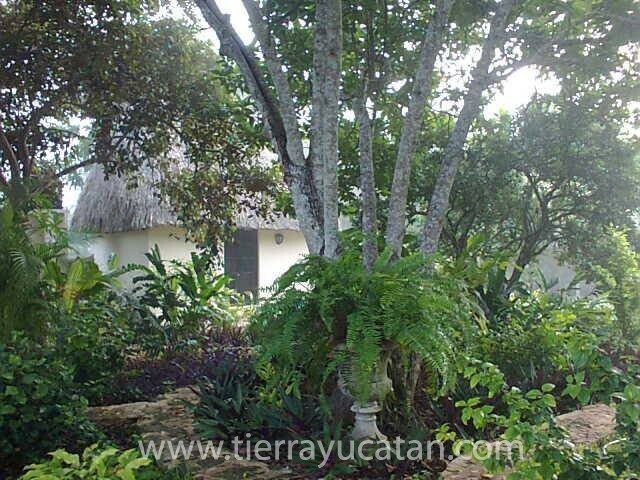 Close to Izamal (11 km) at the edge of the quiet and pretty Maya village of Tepakan. Both are equipped with ceiling fans, mini-fridge, off-street parking, free bicycle use and a continental breakfast of fruit and sweet breads from the village wood fired bakery, juice, coffee or tea. 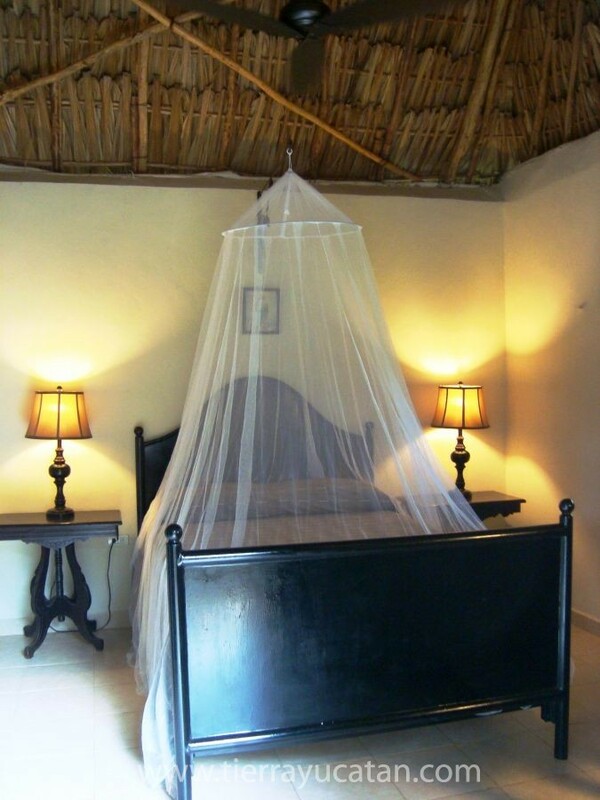 Palapa #1, single rate 42 usd per nite. 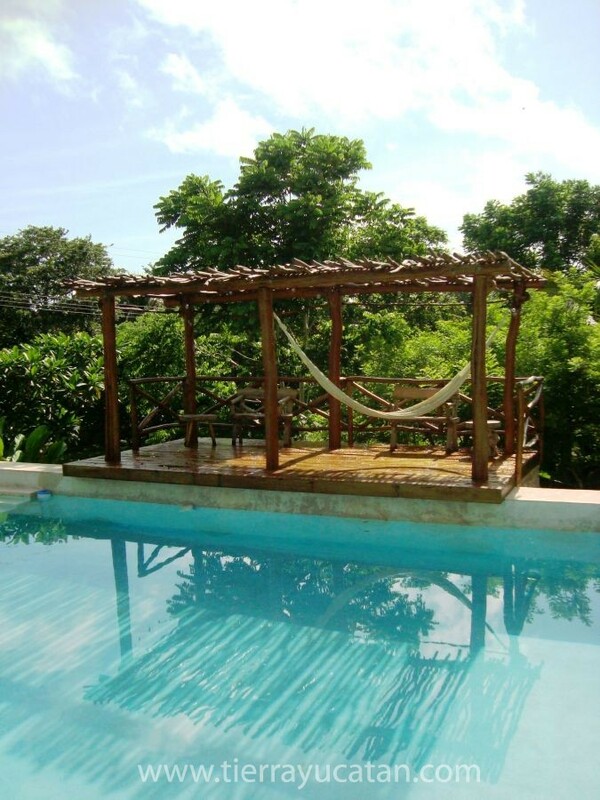 Palapa #2, 48.00 per nite. 6.00 usd second person per nite. Slightly higher during Christmas and New Years.